Consumer Action Law Group has helped many homeowners file bankruptcy, stop foreclosure, and clear debt. June 9, 2015 – Los Angeles, CA — Bankruptcy allows individuals to resolve their financial difficulties and rebuild their credit. In many cases, people file bankruptcy when they are facing foreclosure. Foreclosure happens when the lender or the mortgage company exercises their right to take back the property because the borrower has missed more than 3 monthly payments and fallen into default. Automatic stay – At the time of filing bankruptcy, the foreclosure process immediately stops. This also apply to any collections – such as auto repossessions or wage garnishment. Discharge from debt – Declaring bankruptcy can discharge other debts such as medical bills and credit cards. After filing bankruptcy, debts can be eliminated and debtors can get a fresh start. Typically, there are two chapters of bankruptcy that debtors can choose according to their circumstances. The first is Chapter 13 bankruptcy in which the debtor reorganizes their debt. This means the debtor can catch up and repay the arrears after falling behind on mortgage payments. Chapter 13 bankruptcy requires debtors to have steady income. After filing, the mortgage payment must be paid in addition to a payment to catch up on missed payments, referred to as a repayment plan which usually lasts for a period of three to five years. People choose Chapter 13 bankruptcy because it allows the debtor to keep their personal property, car and house. The second method of stopping foreclosure and clearing debt is filing chapter 7 bankruptcy, which temporarily stops foreclosure. Chapter 7 Bankruptcy can help a debtor to eliminate medical bills and credit cards and find a solution to pay for their delinquent mortgage payments. If the temporary period of relief does not buy enough time to catch up on the mortgage payments, and filing a Chapter 13 is too expensive, debtors should consider other options for stopping foreclosure, such as filing a lawsuit and getting a court order. Anyone that’s facing foreclosure has several options to pursue before declaring bankruptcy, such as loan modifictaion, forbearance, short sale or deed in lieu. The last choice for stopping forclosure is declaring bankruptcy. In order to file bankruptcy, debtors are best advised to hire a bankruptcy attorney because they have years of experience dealing with foreclosure, and clearing debt. Bankruptcy lawyers can help debtors find options to save their property from being foreclosed. It is better to hire a bankruptcy attorney than filing alone. 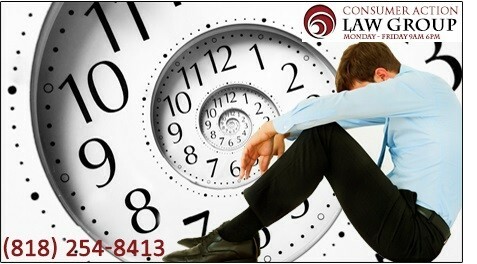 Bankruptcy attorneys have deep experience clearing debt and saving properties from foreclosure. They provide clear and accurate information about about foreclosure and stopping the proccess. Moreover, a bankruptcy attorney can explain whether the home owner can qualify to catch up with delinquent monthly payments when filing chapter 13 and proposing a repayment plan. For anyone that’s facing foreclosure, it is best to contact a foreclosure attoney or bankruptcy attorney that has years of experience dealing with foreclosure related matters.